Meet other local fans of WordPress who are based in Bulawayo! WordPress is the Internet’s classiest and fastest dynamic content management system that is used to create personal and professional websites, blogs and other platforms on the internet. 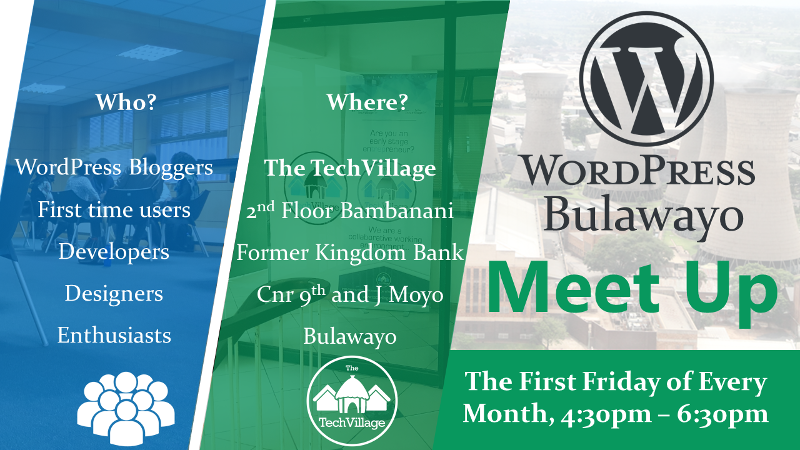 WordPress Bulawayo Meetups are free and open to the public, whether you are a pro or a first-timer, our meetups are designed to cater for all. Gather and discuss the best ways to work with your software. pen, notebook, bring your laptop if you want to have the community check your project out, or get help. This is a community event and is open to anyone and everyone, feel free to invite a friend!